m8 is it the fast blue /white limited edition model ? you sure must have been a good boy!!! yes that's what the red flashing light is when you turn the ignition off , it will flash for 24 hours then go out , but it is still imoblised til you put your key in , the key has a chip ! not as I know of mate just a Suzuki factory fitted one , and no problem m8 , might cost you a bit more insurance ,but it's a bit more of a bike , when do you get it ? My Ex was from Dronfield ? Is that up your way ? I got lucky with my first years insurance. I was one of the first to insure a King and my insurance couldn't work out what it was. version of the 100hp GSX1400.... LOL, much cheapness!!!! Enjoy the forum and we look foreword to some pics. 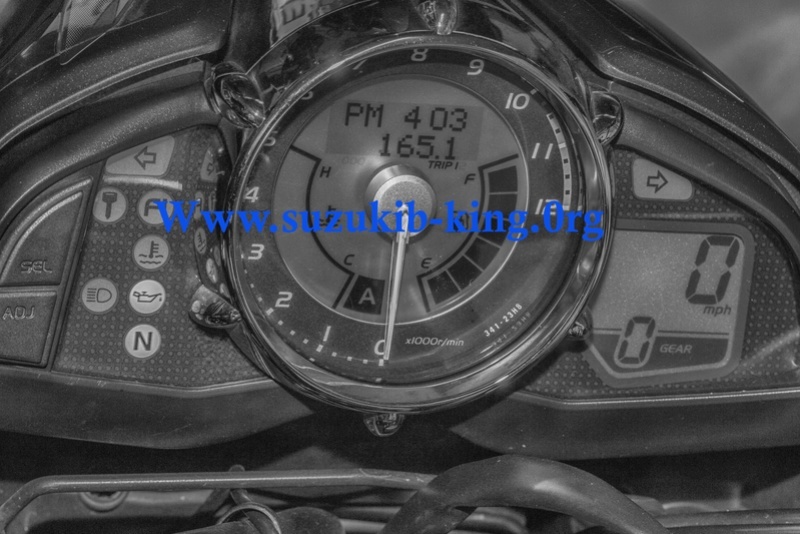 Have a look if the throttle cables are rubbing the clocks. Saw one recently they had put a grove in the case. Mine is pulled back to the brake hose with a very lose zip tie. Still lets it move. Quite safe. Been like it for a few years. Also lets me see the clock without the cable across the bottom corner. I look forward to some more feed back when your weather improves. Enjoy your new toy Mate. My name is Rafael and I am looking to buy a B-King in the near future that is why I joined the FB Group and this forum to get as much info as possible. Right now I have a 650 GSXF had the chance to drive the Hayabusa but love the B-King, so I am looking to find one. Anyone of you guys in Spain or close?